Chairman of APJeT's Board of Directors. Please join Family Office Insights for this luncheon on Thursday, February 8th at 12PM. If you care to join us, please email admin@familyofficeinsights.com. Family Office Insights sits down with Steven Chrust, Chairman, to discuss APJeT’s commercially demonstrated, revolutionary material processing system that replaces high polluting, energy inefficient wet systems used in treating and dying textile with a non-polluting, highly efficient nanotechnology dry system—better, faster, cleaner, cheaper—creating economic and competitive advantages for its customers. Tell us about your background and your company, APJeT. I started my career as a Partner at Sanford C. Bernstein; I was there for fifteen years and was the top ranked telecommunications analyst in the country for a decade. I left to operate companies in the telecommunications space and to do some personal investing. Ultimately this led to the creation of Centripetal Capital Partners of which I am the Senior Manager which invests on behalf of a select group of high net worth individuals and families in early stage ventures at the leading edge of technologies such as APJeT, for which I have been Chairman for the past five years. APJeT stands for Atmospheric Plasma Jet Technology. We have developed a patented APJeT system that enhances the surface properties of a wide variety of materials providing lower costs and virtually no environmental impact. The social and economic benefits of APJeT’s technology give us the opportunity to do a great good and at the same time achieve an outsized return on investment. For the past five years, I have been serving as Chairman of APJeT’s Board of Directors and advising the CEO on a regular basis. Atmospheric plasma is both a new and old thing. Plasma is 100 years old and has been largely used in a vacuum setting. Although other atmospheric plasma technologies have been developed, none have developed into a commercialized system for the textile industry or for film coatings and or other substrates, offering the benefits provided and proven by the APJeT technology. We are able to create material that is both oil and water repellant, while still being breathable and without changing the feel of the material. Our value proposition extends beyond offering the textile manufacturer a lower operating and capital cost, to an elimination of a major negative environmental impact. The textile manufacturing industry contributes almost 20% of global water pollution, and APJeT’s technology is a dry process that completely eradicates this impact. Our go-to market strategy is to provide the application as a service to the customer. It eliminates the upfront capital cost and we offer what, we believe, is a cost benefit of 20-25% on an operating basis. On our Advisory Board is our primary system manufacturing partner, Morrison Textile Machinery, headed by Jay White owner and CEO. APJeT owns 100% of the intellectual property and maintains manufacturing secrets as well. Morrison Textile Machinery builds, installs and maintains the system, while we provide the technology and support, charging the customer on a per yard basis. So, all their cost is variable. Who are APJeT’s target customers? Our target customers are textile manufacturing firms and apparel companies that are interested in lowering costs, increasing sustainability, and who seek to meet the “fast fashion” market demands. When it comes to our oil and water repellency application, we believe we can secure our first operating type lease agreements within the first 6 months of this year. In addition to repellency, we have shown proof of concept for both antimicrobial and fire-retardant applications, but most significantly, the ability to apply color to silk, cotton and polyester. It’s the dyeing process in this industry that is the main culprit of the environmental impact. Virtually all “green” technologies tend to be costlier and do not become economically competitive without subsidies. Not so for APJeT. Kevlar, for example, is used to make wearables with protective, ballistic characteristics. Since our system does not use water and requires no heat, it does not stiffen the material, as in the current methodologies, thus degrading the ballistics. Kevlar is a very expensive fabric, and we think we can reduce the amount of Kevlar used by 5-10% to create the same amount of ballistic protection. This technology can also apply to food packaging, for sterilization and can create a film applied to cell phone screens to become smudge proof. The primary challenge is inertia. We are selling into an industry that’s 100 years old with depreciated equipment and reluctant leadership. To break through this inertia, we have reduced the capital cost of our system by half, allowing APJeT to offer the system on an operating lease basis, which eliminates the upfront capital cost for the customer. Previously, we had to operate the atmospheric plasma in a helium environment, which as an expensive gas required a recycler cutting out $1.5M in equipment cost. In the past 2 years, we’ve seen significant progress. APJeT once operated out of the campus of the College of Textiles – NC State University, the world’s premier academic textile research institution. We found that our development progress was being hampered by being on the school campus, so in 2016, we took our own space and built a commercial system. This allowed us to create a full speed and width system with 3 trial mini versions of the commercial size system that allowed us to make great development progress. One of the most important was the ability to use argon instead of helium, which is a tenth of the cost of helium and eliminates the need for a recycler. We were also able to apply color to cotton, silk, and polyester, as mentioned above, which will generate tremendous industry interest. All this progress has dramatically improved the value proposition and cut costs by 50%. We are not aware of anyone in the market that can deliver full-width and full-speed functionality for these finishing applications, with the cost and environmental benefits we provide. There are others in the market that sound similar, but when you dig into the companies, they are not able to deliver. At the end of the day, we don’t believe there’s another company that can deliver on the promise of lower cost and environmental impact today. The ability to do what we do, without water and with a smaller footprint that is less laborious, is something that could realistically move the textile manufacturing industry back to the US. The most dramatic effect is the ability to manufacture domestically, which can add significant value to brands. The biggest reason textile manufacturing is in Asia is because they don’t have the responsibility over the environmental impact by toxic waste. We think the impact we can have on the apparel industry can catalyze new players to move faster than the inertia-suffering players as well. Our revolutionary dry plasma nanotechnology is totally green and helps to solve the environmental issues by using no water, which means no toxic effluent, and no heat, which means no toxic emissions into the atmosphere or water systems. When it comes to inventory management and timing, our technology effectively combines processing flexibility and commercial rate throughput, minimizing inventory lead times and enabling our customers to better forecast volumes and mitigate inventory losses, which are elements critical to textile and apparel manufacturers’ bottom lines. The landscape of the apparel industry has been moving towards Fast Fashion where designs move rapidly from the catwalk to stores to keep up with emerging trends and customer demands. Because the APJeT technology requires less capital, less space and does not pollute and is equally efficient at producing small runs as it is at long batch runs, it can be moved into the west. Both domestic and international fabric and apparel companies can use APJeT to meet the rapidly changing demands of their customers for a serious competitive advantage. Since 2000, the US has lost more than 5 million manufacturing jobs. Our technology is compact and cost efficient enough to provide domestic apparel and textile firms with the opportunity to bring back their manufacturing processes. As a result, some of the largest domestic apparel and textiles companies are eagerly in trial phases with our technology. The landscape of the apparel industry has been moving towards Fast Fashion where designs move rapidly from the catwalk to stores to keep up with emerging trends and customer demands. Because the APJeT technology requires less capital and less space than alternative equipment, it is equally efficient at producing small runs as it is at long batch runs. Both domestic and international fabric and apparel companies can use APJeT to meet the rapidly changing demands of their customers for a serious competitive advantage. Since 2000, the US has lost more than 5 million manufacturing jobs. Our technology is compact and cost efficient enough to provide domestic apparel and textiles firms with the opportunity to bring back their manufacturing processes. As a result, some of the largest domestic apparel and textiles companies are eagerly in trial phases with our technology. We are looking to raise $5M, at a $60M pre-money valuation to get to cash flow breakeven. Centripetal Capital Partners has already invested $20M and is participating in this round for another $1-2 million. We would like to close this round as soon as possible. We’re also talking to gas suppliers and those who can be strategic partners or investors in return for having a strategic marketing relationship with our company. For color, this will generate a new business for dye providers, and for the argon gas suppliers each APJeT system will generate up to $1M in revenue. Thus far, we have run at a low budget with a team of eight. We got to this stage with a relatively small amount of money compared to DuPont, who spent $50M to get to a similar space and failed. We did this with $25M, where 80% of this funding came from Centripetal Capital Partners. We own 2/3 of the equity of the company and APJeT owns the technology with no other institutional investors. Our mission is to successfully install 100 systems in the next 3-5 years generating over $100 million in EBITDA. We think this is doable because in the US alone, there’s an opportunity for 800-1000 systems. We believe we can truly disrupt the market with our technology and infrastructure. We will be using the proceeds to support sales and marketing, as well as, the development of the commercialization for the coloring process. 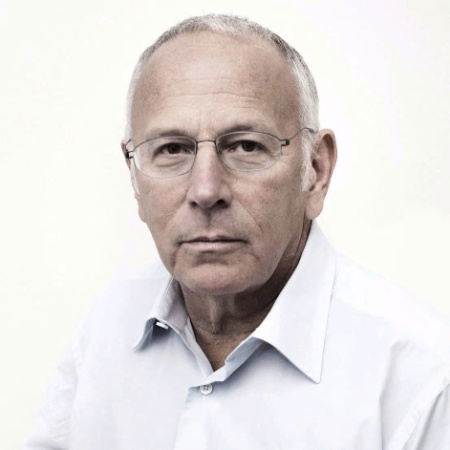 Steven G. Chrust has been Chairman of APJeT’s board of directors since 2011. He is also Senior Managing Partner of Centripetal Capital Partners (www.centricap.com), a private equity investment firm. Mr. Chrust has been involved with the telecommunications, technology and financial services industries for over 40 years. He has served on a number of boards and acted as advisor to many companies. 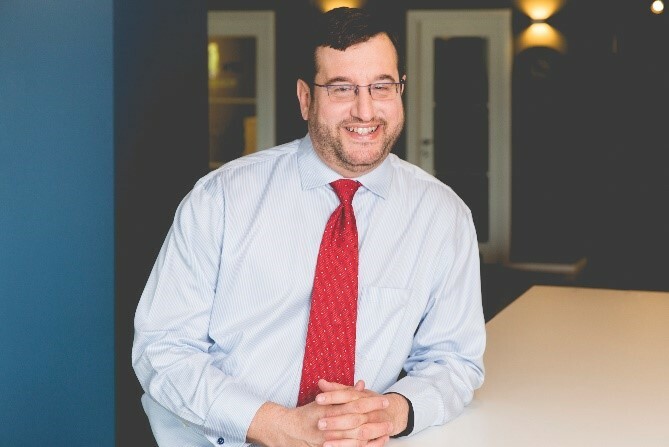 In 1994, he co-founded WinStar Communications, Inc., a facilities-based local telecommunications provider utilizing fixed wireless technology and served as its Vice Chairman until the end of 1998. Mr. Chrust is a graduate of Bernard M. Baruch College of the City University of New York. For more information, please reach out to Steven at schrust@centricap.com.